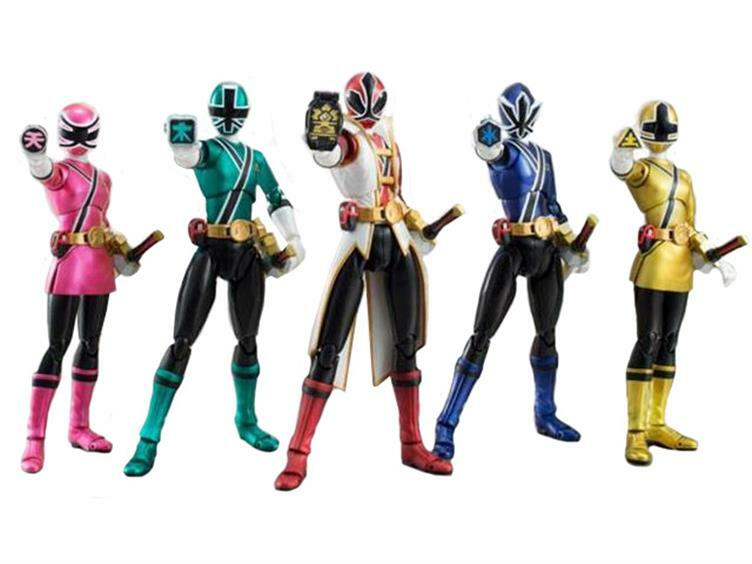 This collectors’ set features all of the Rangers in an exquisite metallic finish only found in this exclusive commemorative 5-pack, including the Red Ranger in Super form along with his teammates, the Blue, Green, Yellow, and Pink Rangers! Each comes with their full arsenal of accessories, including multiple hands, and their signature weapons. Quantities will be limited so don’t miss out! Go Go Power Rangers!